Soils are neither good nor bad, but some have inherent or acquired characteristics that may or may not suit our intended use. Unsuitable characteristics are considered to be soil problems, soil constraints or soil limitations. Only twelve percent of global land is right for agricultural production without much limitation. Some soils have severe limitations for crop production. These soils are so called �problem soils�. Many of them do not have enough fertility to be productive; some are arid and saline; some are very sandy and dry; and some are wet and waterlogged for most of the growing season. The global demand for food, wood, fuel, fiber, medicine and other plant products for the 7.2 billion current world population has created such an immense pressure on global soil resources that even the most fertile soils are losing their productive capacity. We are being compelled to bring more and more unsuitable or marginally suitable soils under cultivation. Unless innovative and integrated soil, crop and environmental management practices are adopted for their improvement and sustainable use, further degradation is inevitable. 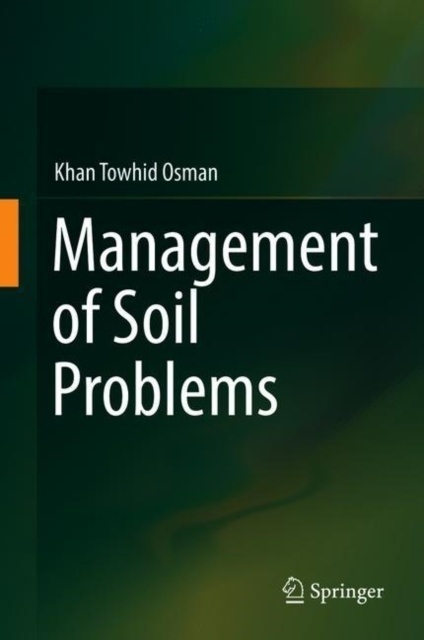 This book, Management of Soil Problems, identifies the problems and discusses management options in a smooth and reader-friendly style. It will be useful for students and professionals of soil science, agriculture, forestry, geography and environmental sciences.